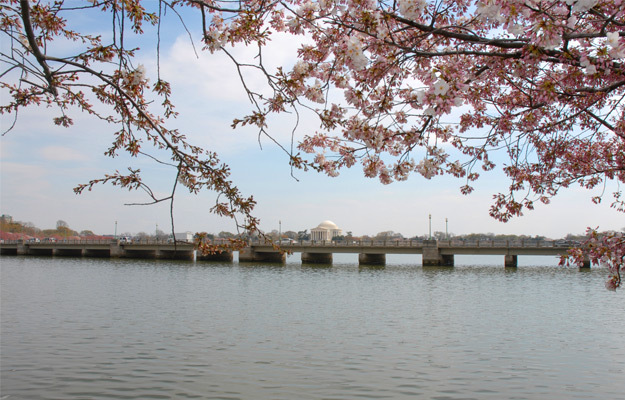 Spend the entire day on the East side of the National Mall – from the U.S. Capitol, rising on a hill on the east end, to the Washington Monument, imposing anchor of the west end. Each side of the East Mall is lined with amazing, free, world-renown museums, many part of the Smithsonian complex, the National Botanic Garden, sculpture gardens, and statues. Add to this cluster of American treasures, the White House, just to the north of the Ellipse. There is something really special about the “People’s House.” Take photos of the iconic symbol of representative democracy from the outside and see highlights through exhibits in the huge underground U.S. Capitol Visitor Center. Book timed tickets online in advance to go inside for a 1-hour guided tour of ornate, art-filled interior, where a favorite is Statuary Hall. National Air & Space Museum: This is where the history of man’s quest to explore the skies and beyond is on exhibit, and the future of flight and space exploration is explored. Hundreds of aircraft, spacecraft, missiles, rockets and flight-related artifacts are on display in 23 astounding galleries. National Museum of Natural History: A massive, fascinating space houses everything; from the biggest mammal to the smallest insect and everything in-between. Exhibits here focus on: human origins, the development of cultures; ancient and modern mammals; birds, amphibians; reptiles, insects and sea creatures; rocks, gems, fossils and dinosaurs. National Museum of American History: A journey through American life and ingenuity, the everyday and the extraordinary, is experienced through diverse exhibits and artifacts highlighting the country’s cultural, social, technological and political experience. Hirshhorn Museum & Sculpture Garden: Beautiful and thought-provoking works of world-class Modern masters and the innovative Contemporary art of emerging artists are exhibited inside and out of the signature round spiraling building. White House Visitor Center: Well-thought out exhibits about the architecture, models of each room, complete with furnishings, and the families who have called The White House home, give a comprehensive look at what’s inside. 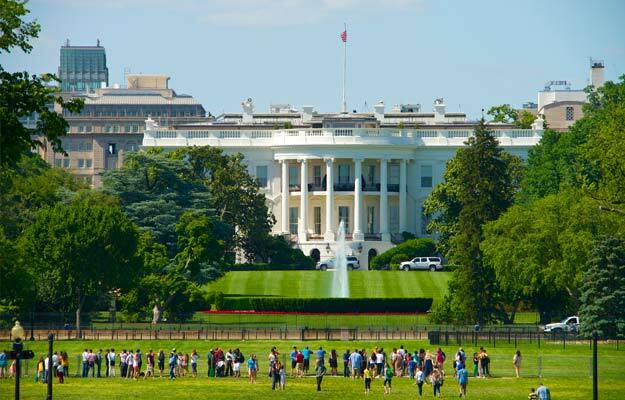 South Façade: Just north of the Ellipse and the Washington Monument, the view of the iconic South Façade of the White House, with its columned, curving South Portico, is timeless. D.C.’s memorials honor the valor of soldiers, Presidents Jefferson, Lincoln and Franklin Delano Roosevelt, and civil rights leader Martin Luther King, Jr. While interesting and moving to see during the day, nothing compares to seeing them at night bathed in the soft glow of while light. The 2.5 hour narrated Monument by Moonlight Tour is the best way to see these stirringly beautiful monuments. Departing at 7:30pm from Union Station, the tour offers fabulous views and amazing details of several monuments up close at 3 stops – the inspiring MLK Memorial and thoughtful elements of outdoor rooms of the FDR Memorial; the stoic strength of the Lincoln Memorial, the solemnity of Vietnam Veterans Memorial, the sense of being there at the Korean War Memorial; the iconic Iwo Jima Memorial (there is a fee for the trolley tour). After a day of experiencing the best museums and two of the most iconic sites in the world, most for free, it’s time to open the wallet for an eclectic mix of options to round out your D.C. experience. Newseum: Dynamic, engaging, interactive. Seven levels, 15 theaters and 15 galleries packed with exhibits explore journalism, past and present, through the five freedoms of the First Amendment: religion, speech, press, assembly and petition (allow 2 hours). Ford’s Theater: Take a self-guided tour of the site where President Abraham Lincoln was assassinated. Learn about his presidency, his assassination and his legacy. Visit the Petersen House where he was taken, mortally wounded, and later died (allow 1 hour). Arlington National Cemetery Tour: Enjoy the serene beauty of the final resting place of more than 400,000 active duty service members, vets and their families on the comfortable 45-60 minute narrated tour. 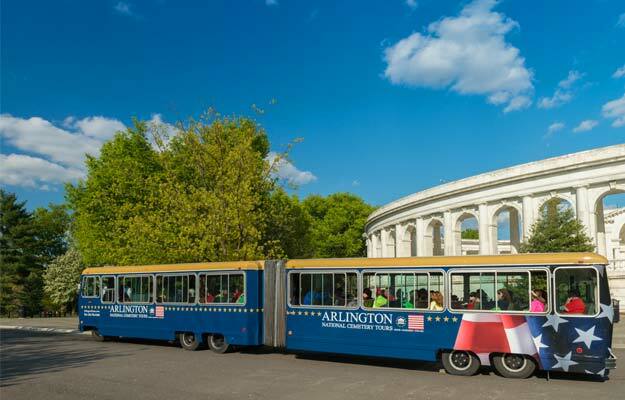 Disembark at 7 stops (10 on weekends), including the John Fitzgerald Kennedy Gravesite and the Tomb of the Unknown Soldier, to explore and to honor the sacrifice of those who served their nation. Georgetown: This is a vibrant historic river town graced with architectural elements from every era since its 1751 founding and a favorite of locals. It has it all – charming quaintness, cobblestone sidewalks, gorgeous historic Federal-style townhouses shaded by stately trees, an upscale vibe, wonderful shopping and a great culinary scene. You can explore on your own. The intersection of M Street and Wisconsin is a good place to start. History buffs will enjoy seeing all the historic houses. Foodies will easily find small, locally-owned restaurants and cafes around every turn. Another option is a Gastronomic Georgetown Food Tour, a guided walking tour combining history and architecture with culinary tastings. From 3 to 6:30 pm see the sights you might otherwise miss while making your way to four pre-selected small plate and traditional tasting places. For eight blocks between 17th Street and 9th Street NW, bars, restaurants, boutiques and live music venues line the street of the Shaw Neighborhood. At one time the center of African-American culture, where Duke Ellington, Louis Armstrong, Ella Fitzgerald and Miles Davis performed, it’s the trendy nightlife place. Have a drink in the rooftop lounge at Marvins; check out 9:30 Club, a popular live-music venue.